We appreciate every opportunity we have to participate in projects. Here are some we currently have in progress. Ayars & Ayars, Inc. was honored to be selected by Speedway Properties again to reroof several of their existing facilities in Lincoln, NE. We have worked with Speedway Properties in the past both building new facilities and reroofing existing properties. The 6800 reroof will utilize the High Profile Metal Over Metal (HPMOM) MR-24® Standing Seam Roof System, while the 6810 reroof will utilize the Low Profile Metal Over Metal (LPMOM) MR-24® Stand Seam Roof. Both systems allow the new roof to be placed over the existing roof. 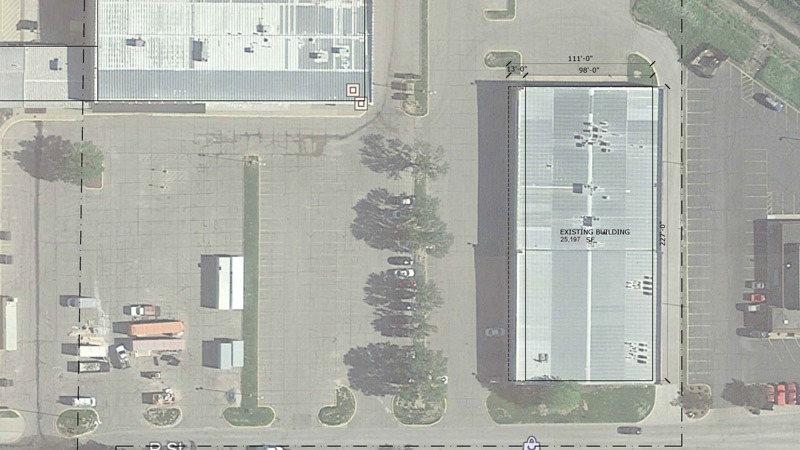 Ayars & Ayars, Inc. is excited to have been selected to complete a project in Antelope Valley in Lincoln, NE. The project consists of a mixed-use redevelopment of the entire block between K St. & L St. on Antelope Parkway. 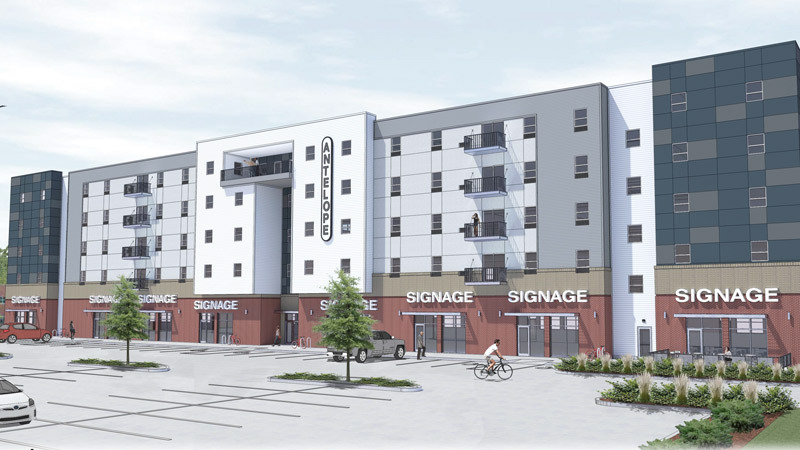 This four-story facility will be a mix of apartment space as well as commercial retail space. It will be constructed of structural steel and wood frame, and will also include an environmentally green roof with an irrigation system. 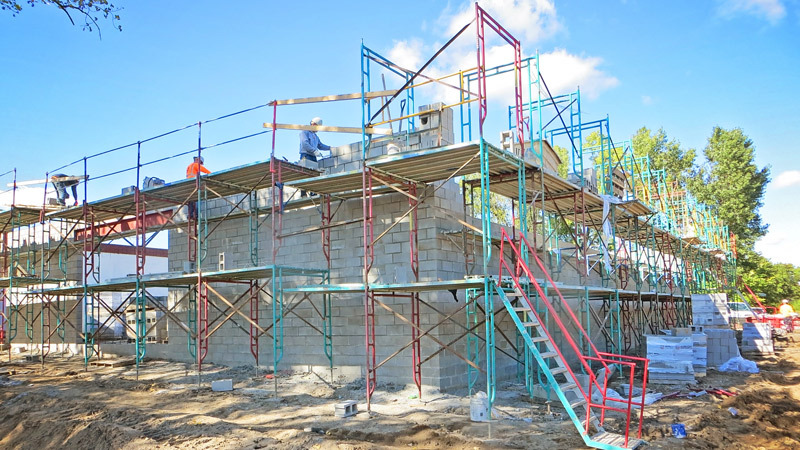 Our scope of work includes site work, concrete, masonry, metals, carpentry, and various interior and exterior finishes. 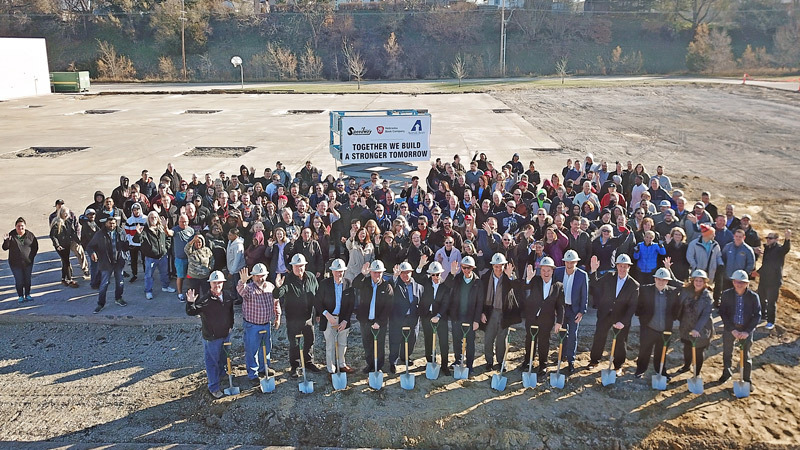 Ayars & Ayars, Inc. was excited to be selected to work with Bryant HVAC to build their new headquarters located in Lincoln, NE. 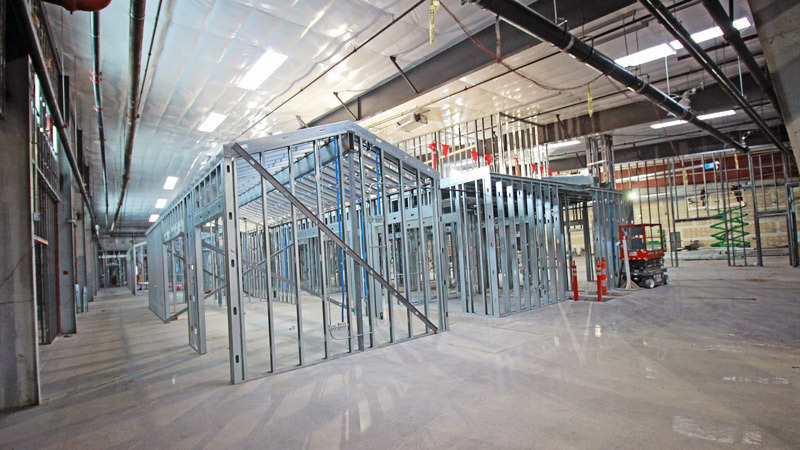 The pre-engineered metal building will consist of warehouse space, a fabrication shop, and employee offices. The roof will utilize Butler's MR-24® Standing Seam Roof with an 80-foot clear-span. Our scope of work for the project will include site work, concrete, masonry, metals, and carpentry. Ayars & Ayars, Inc. has partnered up to complete another project with a repeat customer. 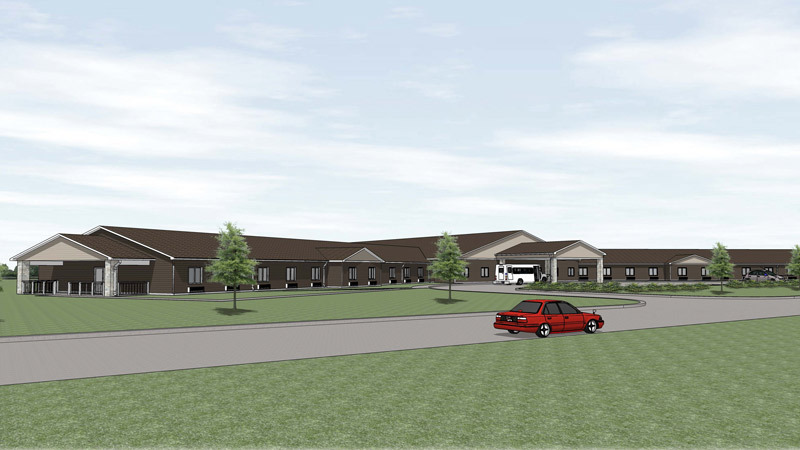 After choosing Ayars & Ayars, Inc. to build a nursing facility in Aurora, NE, they decided to also move forward on a similar project in Burwell, NE. 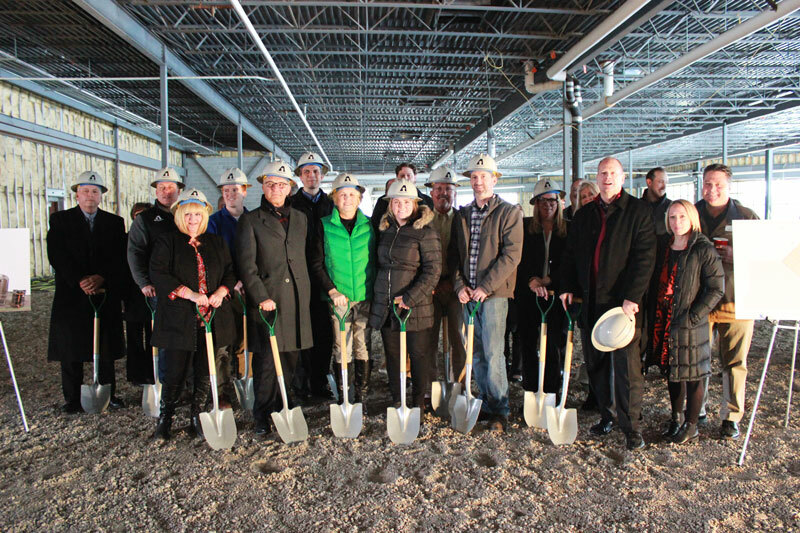 This facility will provide a much-needed service for Assisted Living and Skilled Nursing Care with Memory Care in the Burwell area. We will provide a safe and quality building to the residents by crafting a comfortable and inviting area for everyone who enters the front door. This 74-bed facility will have all the great amenities needed to live an exceptional lifestyle including spacious resident rooms, dining areas, physical therapy space, and a beauty shop. Ayars & Ayars, Inc. is excited to continue our growing relationship with Christ Community Church. 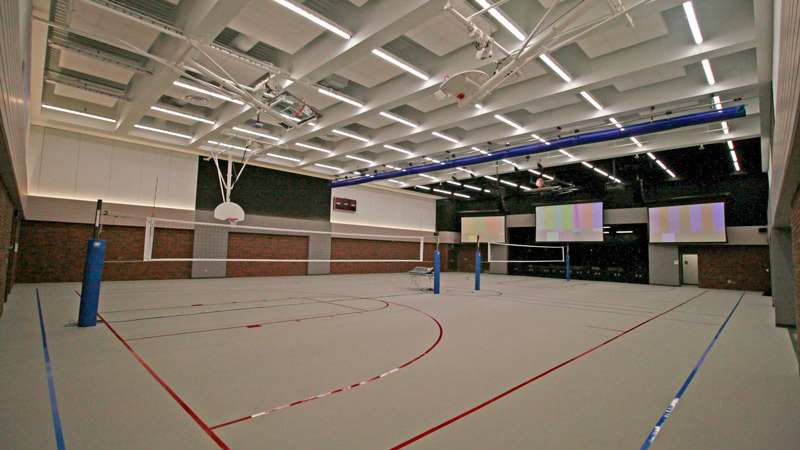 We have completed several projects on their Omaha, NE campus, including a new gym remodel. The existing interior will be demolished to allow for new flooring to be installed along with remodeled bathrooms and locker rooms. The scope of the work for this project included site work, concrete, metals, and carpentry. Community Action Partnership selected Ayars & Ayars, Inc. for our first project together to complete a tenant finish at their Commercial Kitchen & Distribution Center in Lincoln, NE. Our crew will install a new structural steel support system for a new roof mechanical unit. We will also install fixtures and kitchen equipment throughout the facility. Our scope of work for the project includes site-work, concrete, metal, and carpentry. Full Fledged Brewing Company is looking to become the first brewery located within Council Bluffs, Iowa city limits after a new zoning law was passed. 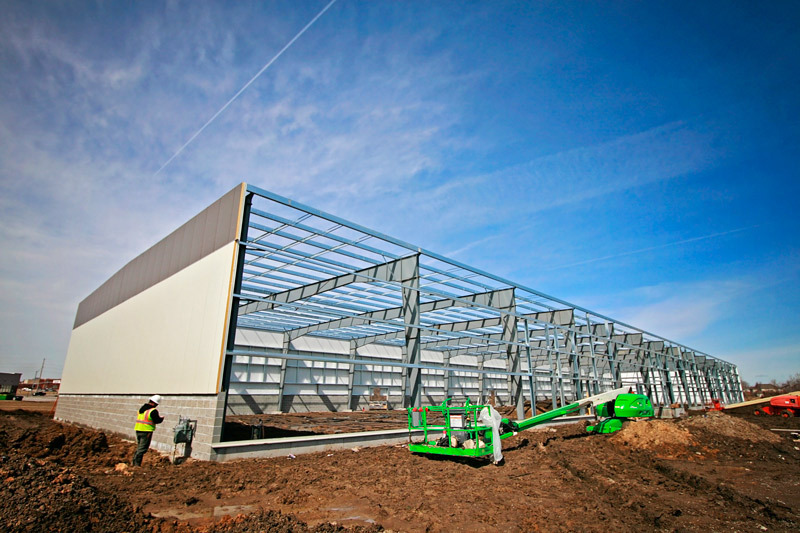 They selected Ayars & Ayars, Inc to complete this tenant finish project that will house the new brewery. Demolition will remove a majority of the exterior doors, windows, and pavement. Interior work will replace various fixtures to improve the aesthetic of the space and to accommodate brewery equipment. Our scope of work for the project includes metal, masonry, concrete, and carpentry. 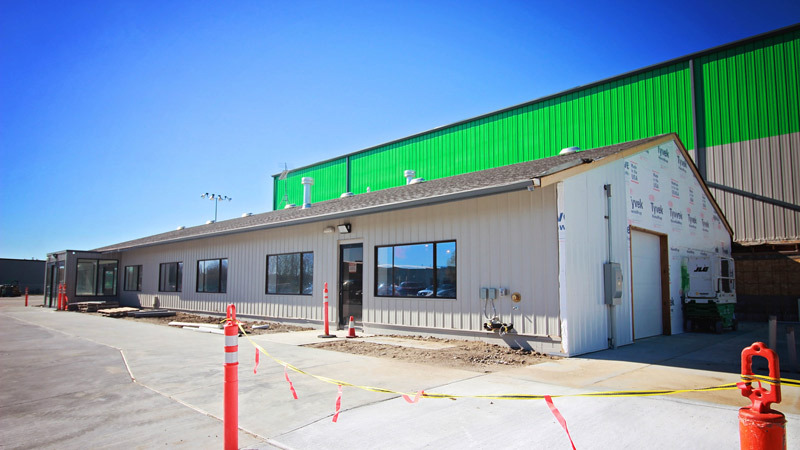 Ayars & Ayars, Inc. was excited to be selected by HAZ-MAT Response to construct their newest facility in Gretna, Nebraska. 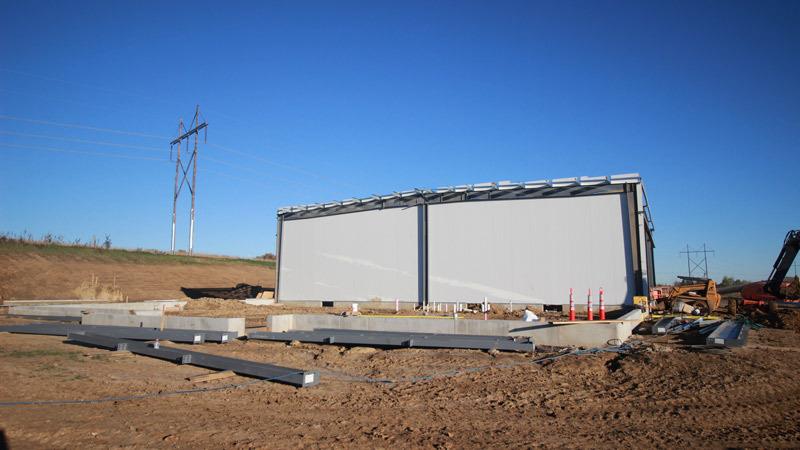 This Butler Pre-Engineered Metal building will allow the company to continue its service to the Lincoln and Omaha areas in the event of a hazardous waste situation. This new location will shorten the amount of time it will take to respond to calls. At 10,800 sq. ft. the building will also serve as office space for the company. Our scopes of work for the project include site work, concrete, metal, and carpentry. When Heppner’s Auto Body in Woodbury, Minnesota was running low on space, they called on Ayars & Ayars, Inc. to come up with a fix. This project includes selective demolition of interior walls, replacing a portion of the existing roof, and a 7,227 sq. ft. Butler Pre-Engineered Metal Building addition. 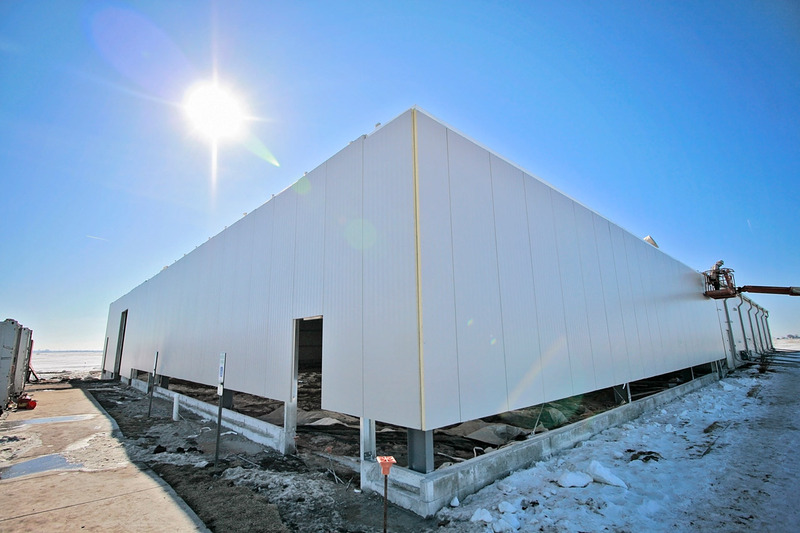 Once complete, Heppner’s will be able to utilize two brand new paint booths, along with extra space to execute day-to-day operations. Ayars & Ayars, Inc. teamed up with Makovicka Physical Therapy to tenant finish two of their existing location in Lincoln, NE. As Makovicka expanded it was only logical for Ayars & Ayars, Inc to build their new practice in Plattsmouth, NE. The entire site, including the existing building and concrete, will be demoed and replaced by newly poured concrete footings, foundation/sidewalks and a 7,500 sq. ft. wood frame building. Our scope of work for the project includes site work, concrete, masonry, carpentry, and metal. Speedway Properties continues to choose Ayars & Ayars, Inc. to work on their many projects throughout Lincoln. Each project furthering our ever-growing relationship, this time to complete new addition and site improvements to their existing Nebraska Book Store. This massive addition utilizes a pre-engineered steel framing system for a new lower bay and dock area. Our scope of work for the project includes site work, concrete, masonry, carpentry, and metal. 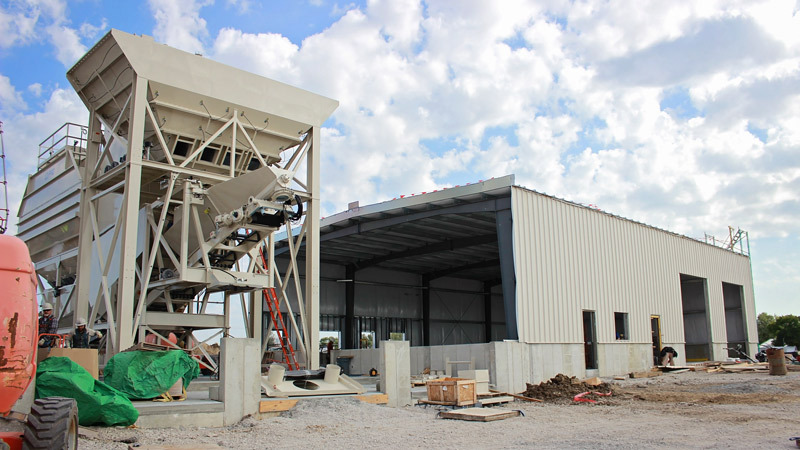 Ayars & Ayars, Inc. was honored to be selected by Ready Mix to build their new concrete plant in Strang, NE. 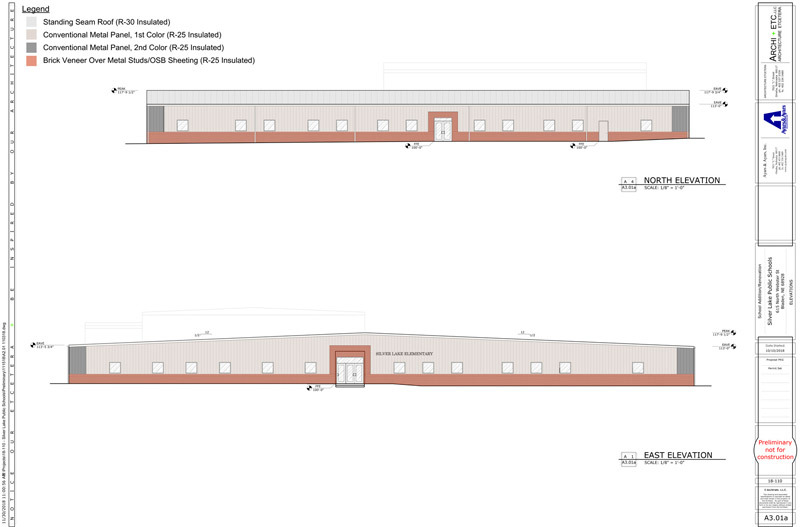 The new facility will feature two main areas. One constructed for use as the office space for employees and another to house the concrete plant. The roof system selected for the project is Butler’s MR-24® standing seam roof system, that will include moisture protection components. Our scope of work for the project will include site work, concrete, metal, and carpentry. Ayars & Ayars, Inc. has completed several projects with Rare Earth Salts at their Northgate Crossing Campus, including an addition to their existing facility we completed in 2017. 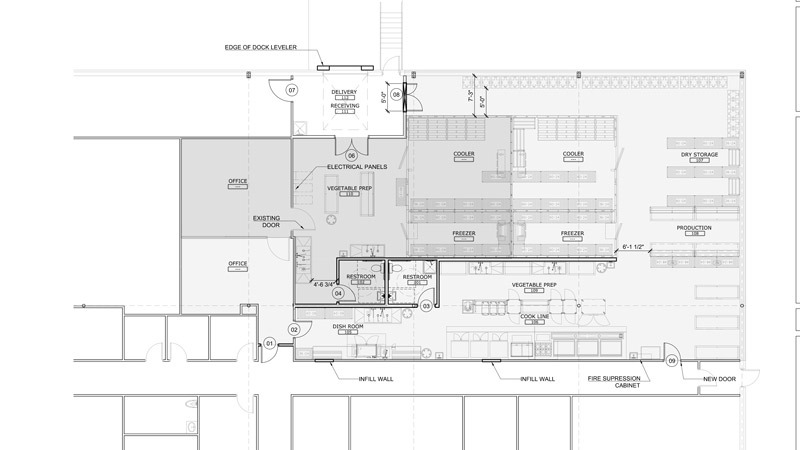 The addition will include a new office area and also a remodel to an existing lab. 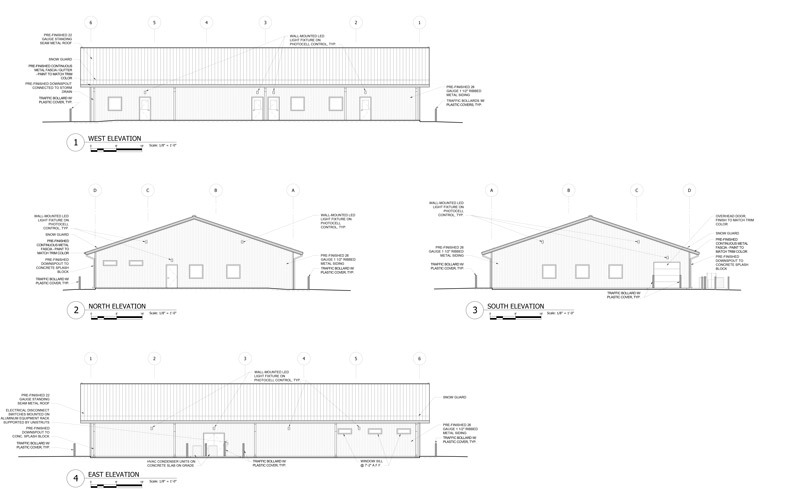 The new addition will utilize a structural steel framing system and a Butler MR-24® Standing Seam roof system. Our scope of work for the project will include site work, concrete, masonry, metals, and carpentry. Ayars & Ayars, Inc. is currently collaborating with one of their many repeat customers to complete a 30,000 sq. ft. interior renovation for Rasmussen Mechanical in Council Bluffs, Iowa. This renovation features 23 offices, two conference rooms, a training area, and a new entryway and vestibule to create a great first impression. Our scope of work includes concrete, carpentry, electrical and finishes. Ayars & Ayars, Inc. is excited to announce that we have been selected to provide project management and construction services for a remodel to Sunbelt Rentals existing facility in Omaha, Nebraska. The project will start with selective demolition of walls, flooring, and footings. Then, we will add in a small tools showroom, a break room, two offices, and a conference room. 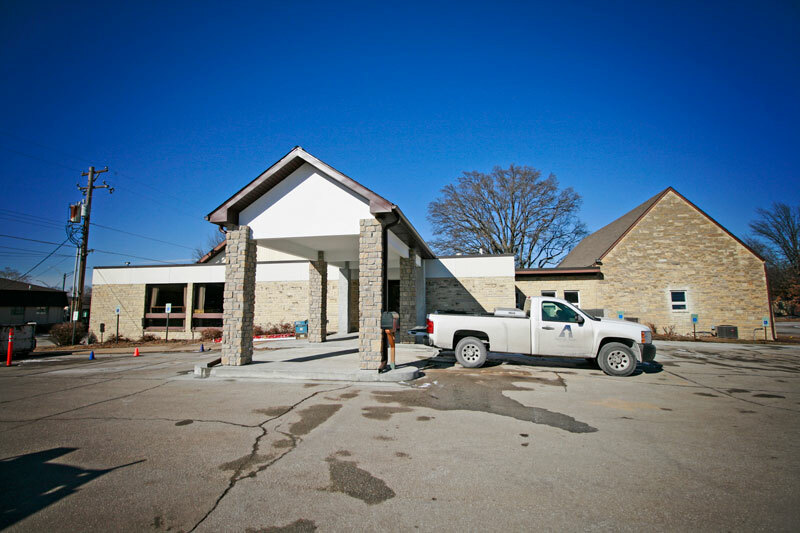 Ayars & Ayars, Inc. is currently working on our first project with the Evangelical United Lutheran Church on a remodel at their existing facility in Lincoln, NE. We will remodel their existing ceiling in the chapel to include suspended acoustical tile to improve sound quality during worship and build a small addition that will incorporate a new covered entry, which will allow easier access into the facility during inclement weather. Our scope of work for the project includes site-work, concrete, masonry, carpentry, and metal. Ayars & Ayars, Inc. is no stranger to working with school districts to help them design/build a new facility for their education goals. Including a new elementary school in Bladen, NE for the Silver Lake Public Schools District. 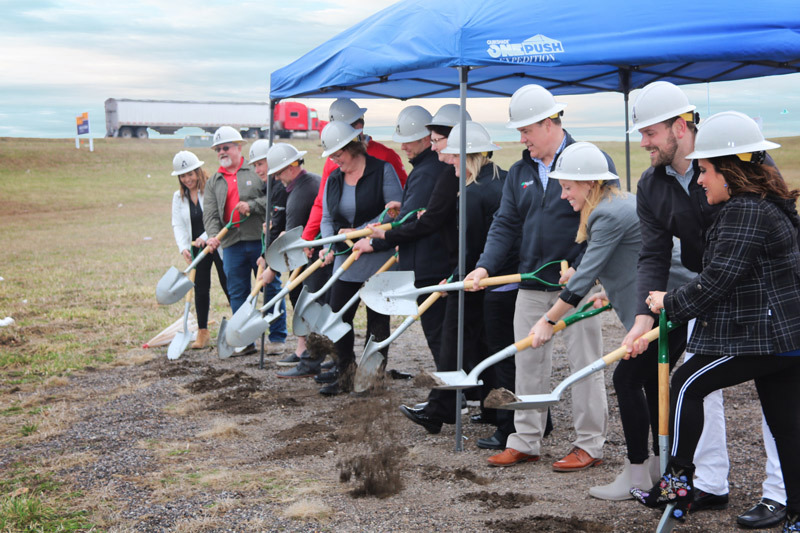 An existing facility is already present on site and Ayars & Ayars, Inc. will build the new facility around the existing facility, eventually connecting the two buildings. Our scope of work for the project includes site work, concrete, masonry, metals and carpentry. Ayars & Ayars, Inc. has completed several projects with BNSF Railway over the course of many years and across much of the United States, including the construction of their new Way Facility in Illinois. The existing building will be demolished and replaced with a structural steel building with a Butler MR-24 Standing Seam roof system. Our scope of work for the project includes site work, concrete, carpentry and metal.